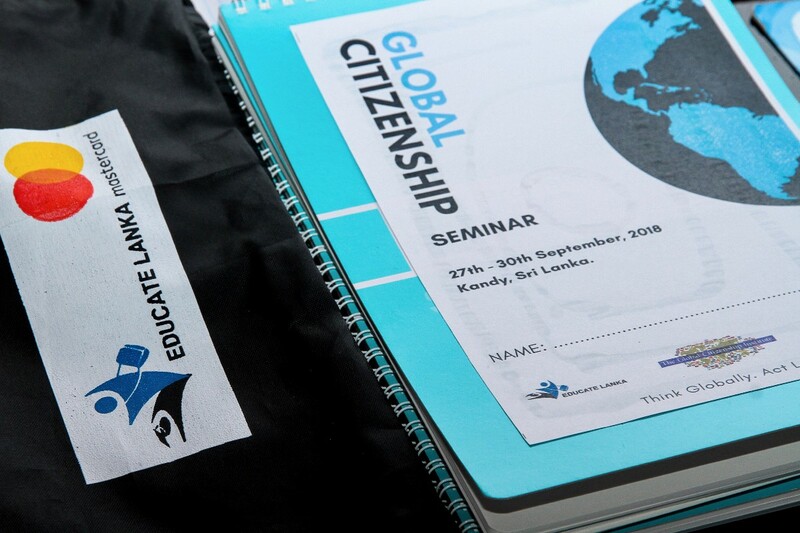 Educate Lanka launched the inaugural Educate Lanka Global Citizenship Seminar in Kandy, Sri Lanka from September 27th to 30th, 2018 as a part of its Global Education Program. 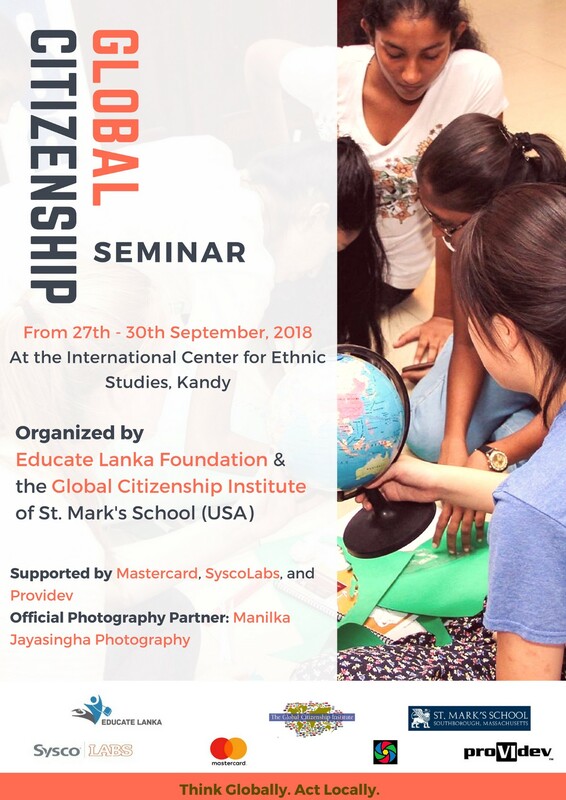 This seminar was organized in collaboration with St. Mark’s School, which has sponsored Educate Lanka Scholars for the past two years to attend their annual Global Citizenship Institute in Massachusetts, USA. 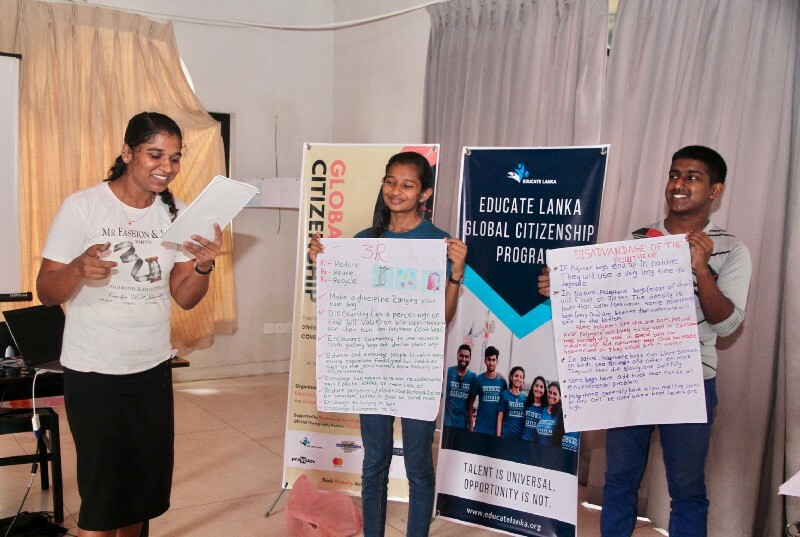 This year, to bring the very timely and important concept of Global Citizenship to a wider range of Educate Lanka Scholars, Educate Lanka decided to replicate its own version for the first time in Sri Lanka. The theme of this year’s seminar — “Think globally. 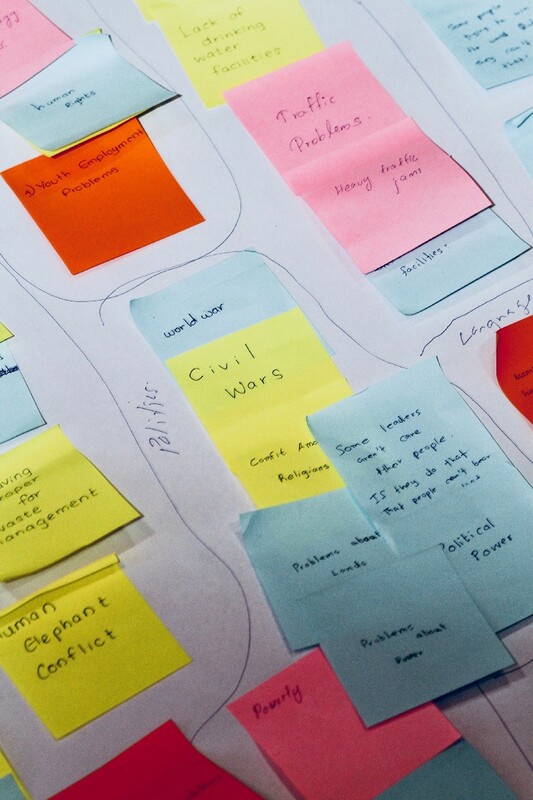 Act locally.” — would introduce the participants to Design Thinking and a series of immersive learning opportunities in guiding them to become engaged Global Citizens. 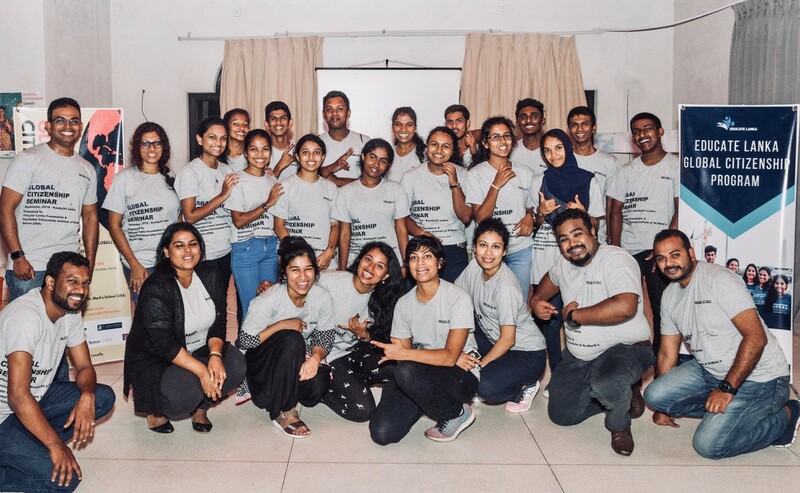 On 27th of September 2018, 16 Educate Lanka Scholars from various parts of Sri Lanka including Negombo, Kurunegala, Kandy, Monaragala, Mannar, and Vavuniya gathered for four days at the International Center for Ethnic Studies in Kandy to take part in the inaugural Global Citizenship Seminar. 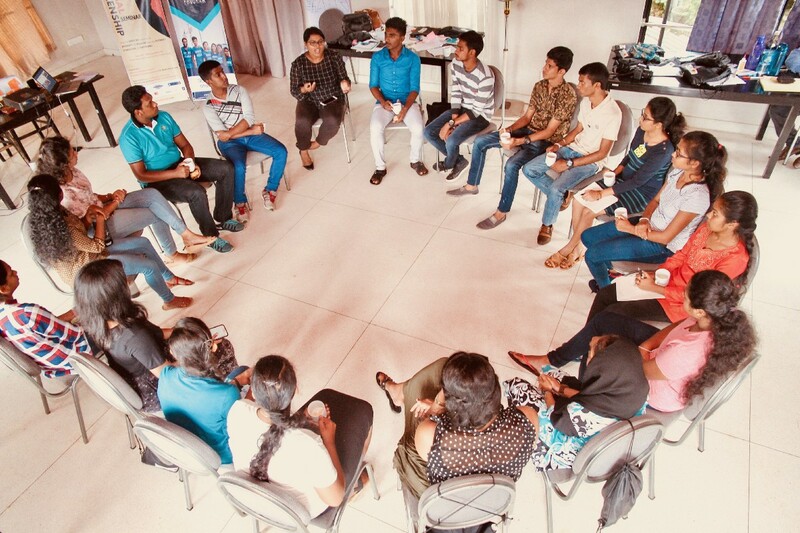 These participants, 11 female and 5 male, were selected through an extensive vetting and evaluation process based on their aspirations, level of engagement, and the overall track record as Educate Lanka Scholars. They ranged from the ages 16 to 22 and represented diverse ethnic, religious, and linguistic backgrounds. 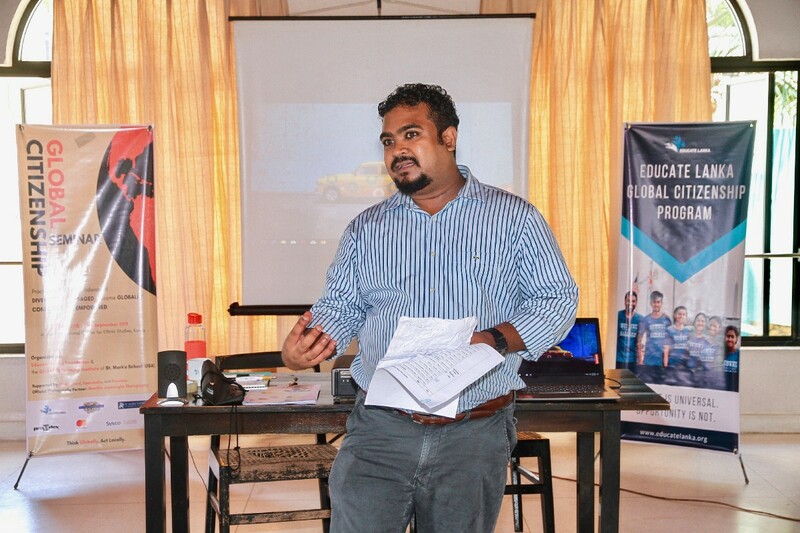 Educate Lanka Country Coordinator, Dhanusha Amarasinghe, welcoming the participants, introducing the concept of Global Citizenship, and conducting the initial sessions on Perspective, Ethnocentrism, and Ethnorelativism. The Seminar was made possible to the generous backing of the original program initiators: The Global Citizenship Institute at St. Marks School and the Salzburg Global Seminar. We’re also grateful to our generous corporate sponsors and other resource partners that contributed to its success. 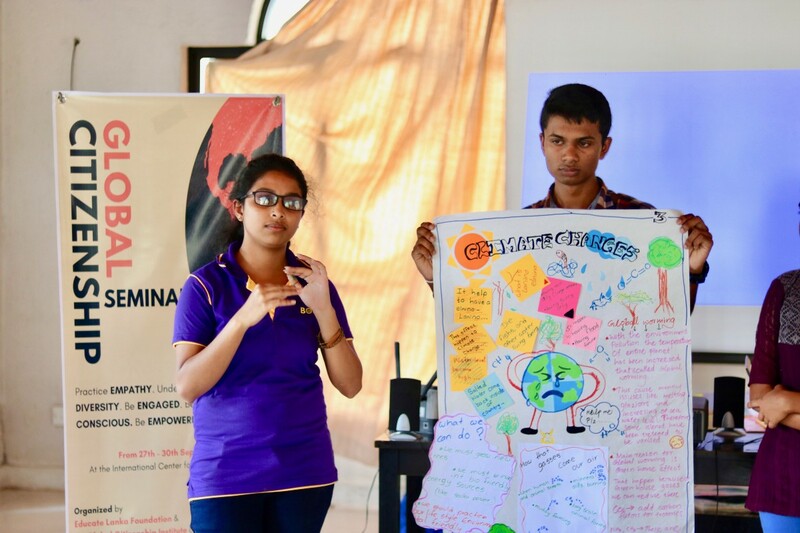 A main component of the Educate Lanka Global Citizenship Seminar was Design Thinking: a globally accepted design methodology that incorporates cognitive and practical activities, including problem-finding, decision-making, creativity, prototyping, and evaluating. 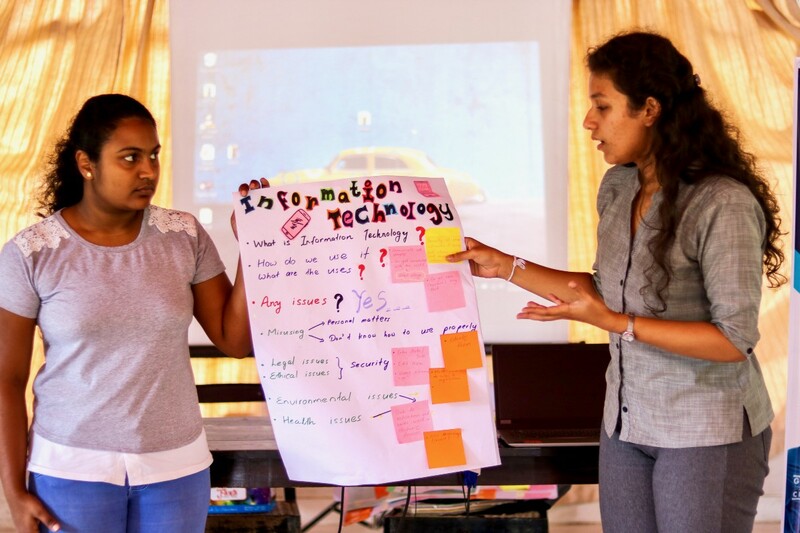 Using this method, the participants were encouraged to understand global problems that affect local contexts by learning to observe, understand, and address these problems by looking at the “real roots” of the issues. 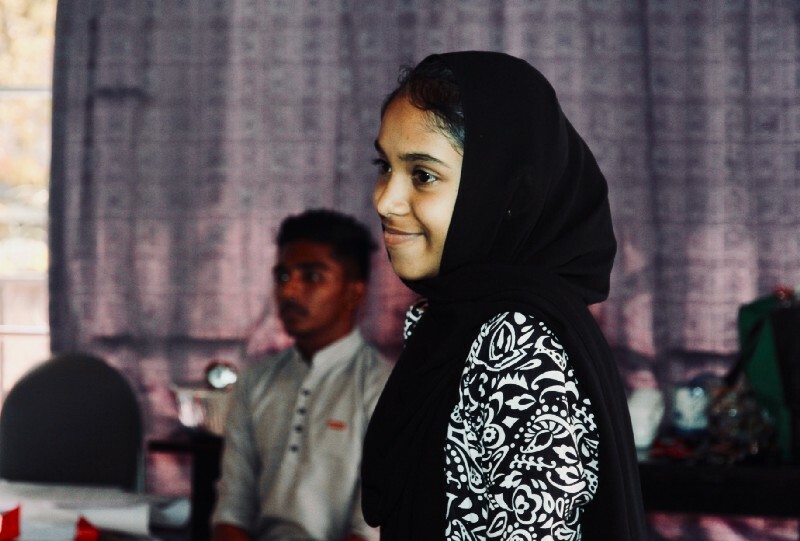 The participants also learned how one’s understanding of an issue can be biased by their own ways of thinking and how one could overcome such biases and limitations by practicing effective empathy. 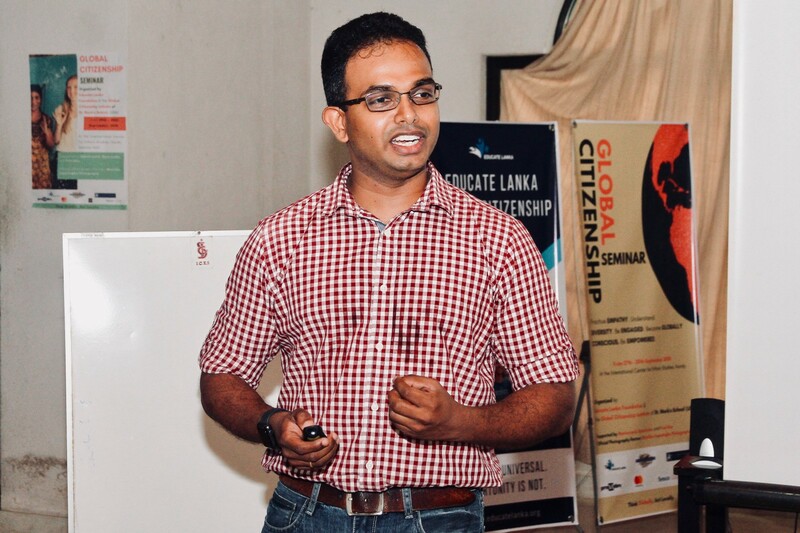 The program benefited enormously by having Sanka Hettiarachchi — founder and CEO of Providev and an expert instructor on Design Thinking — who guided the participants over the first three days of the seminar to immerse in this invaluable learning process through a series of novel, hands-on learning exercises. 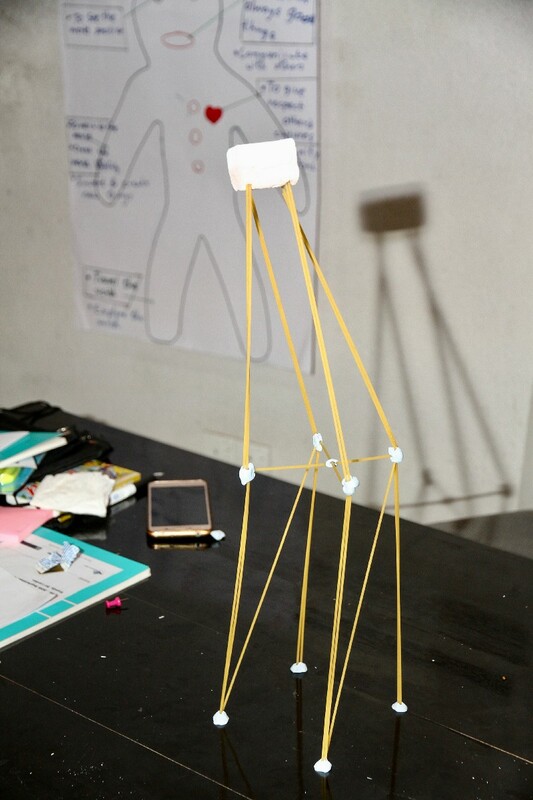 Participants engaging in the Marshmallow Challenge, invented by Peter Skillman of Palm Inc. and popularized by Tom Wujec of Autodesk. 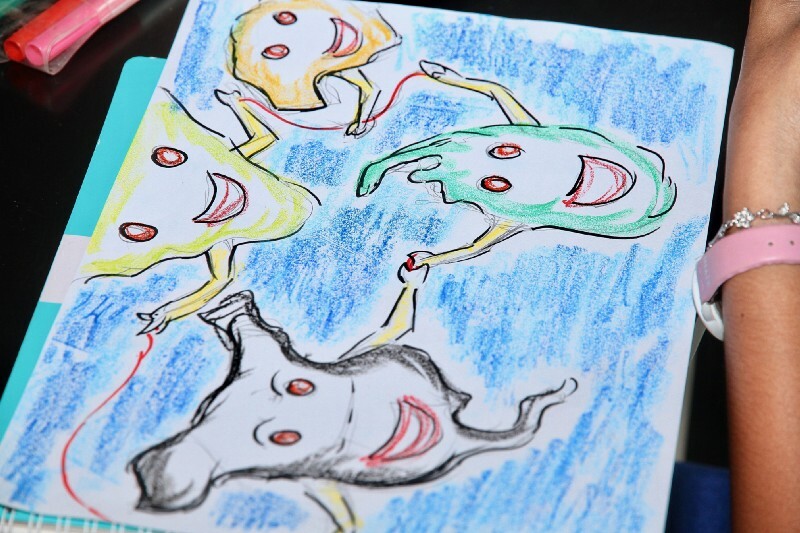 They were also introduced to new ideation techniques such as C-Sketch and Scamper and were guided through the prototyping of their solutions. During the course of the seminar, the participants further learned how to refine problem statements in groups and were introduced to new ways of forming ideas. 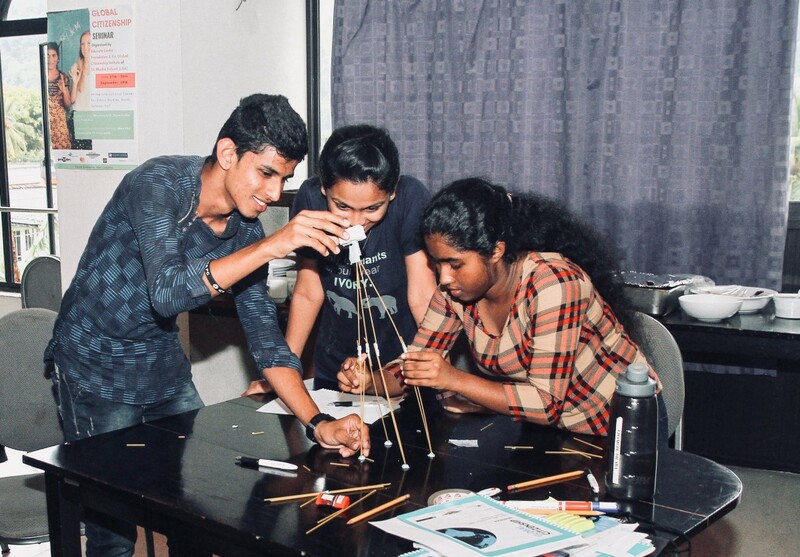 On day three of the seminar, the students presented their final group solutions based on the Design Thinking techniques they learned during the first two days. 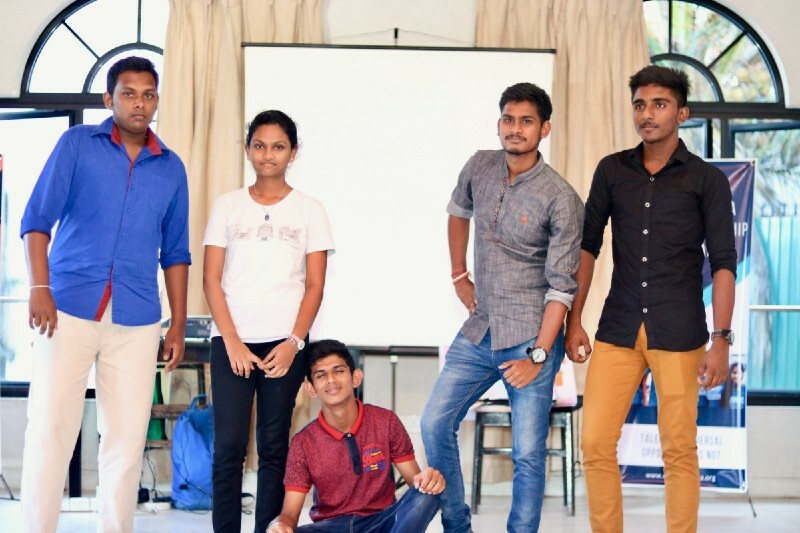 One group presented on “How to promote English education and make the youth fearless to speak English in becoming Global Citizens?” They came up with a creative solution of generating an interest in the youth to share daily videos about their hobbies on social media. 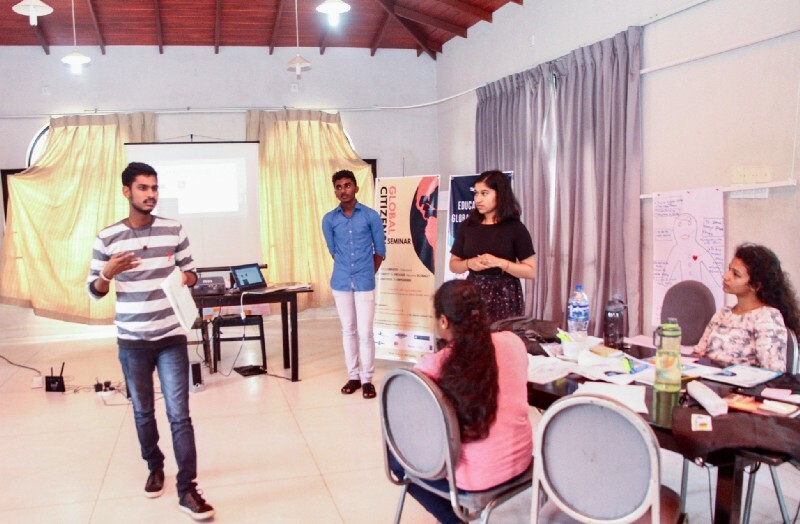 The problem statement of the second group was “How do we promote cyber well-being and good practices among youth to reduce the negative impacts of internet and social media?” They highlighted the lack of awareness and understanding between parents and children as a primary cause for this issue. 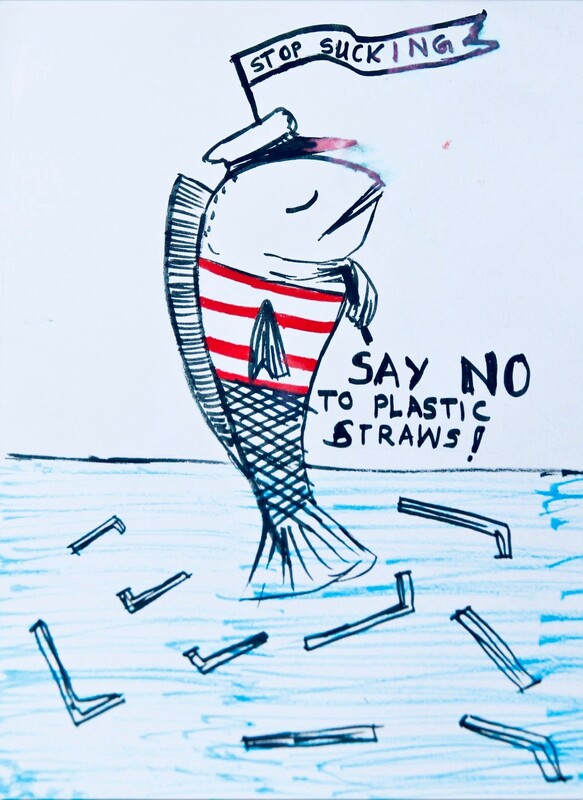 The third group tackled a timely environmental issue: “How could we reduce the amount of polythene bags used by store owners to promote better environmental consciousness among communities?” The group members suggested promoting the 3R’s — Reduce, Reuse, Recycle — among local communities. 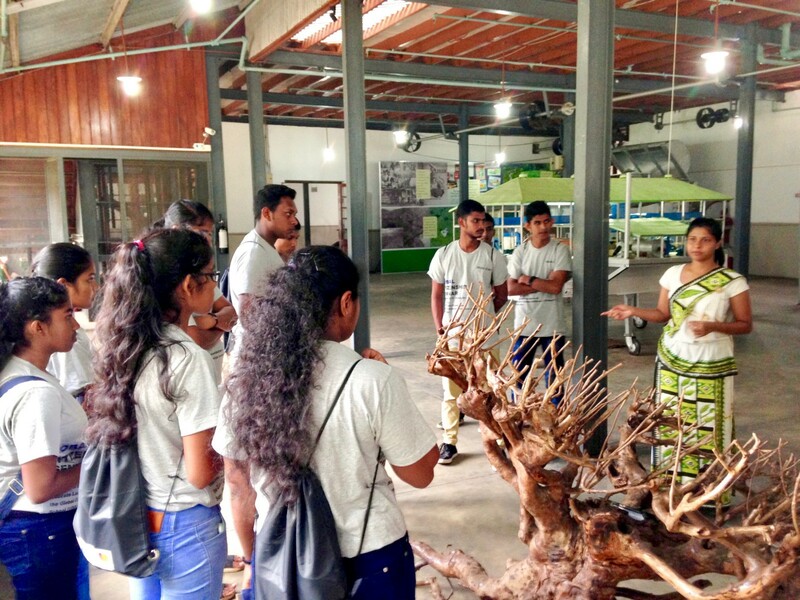 On day two of the seminar, the participants took part in a tour of the Ceylon Tea Museum in Hantana to learn about the history of the tea industry in Sri Lanka and its current role as one of Sri Lanka’s main income generators and a key attraction of the tourism industry. This field visit was incorporated into the seminar so that the participants, as Global Citizens, get a more practical sense of the issues prevalent in the world and the role they play in them. 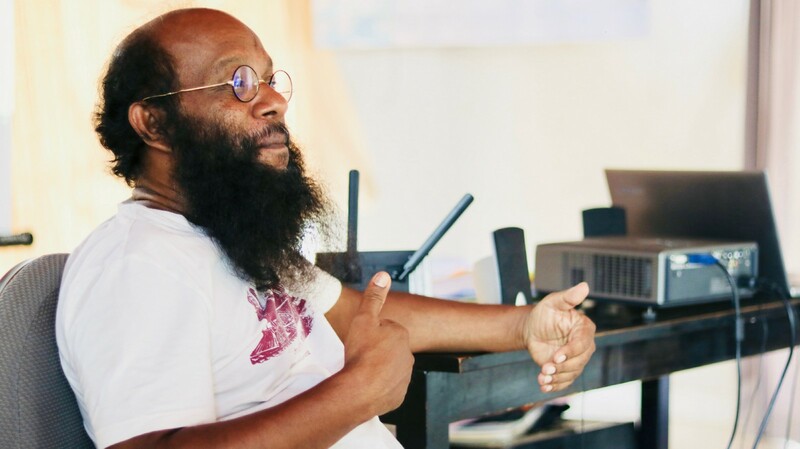 The main facilitator of this activity was Jude Fernando, Associate Professor of International Development and Social Change, attached to the Department of International Development, Community, and Environment of Clark University, Massachusetts, USA. 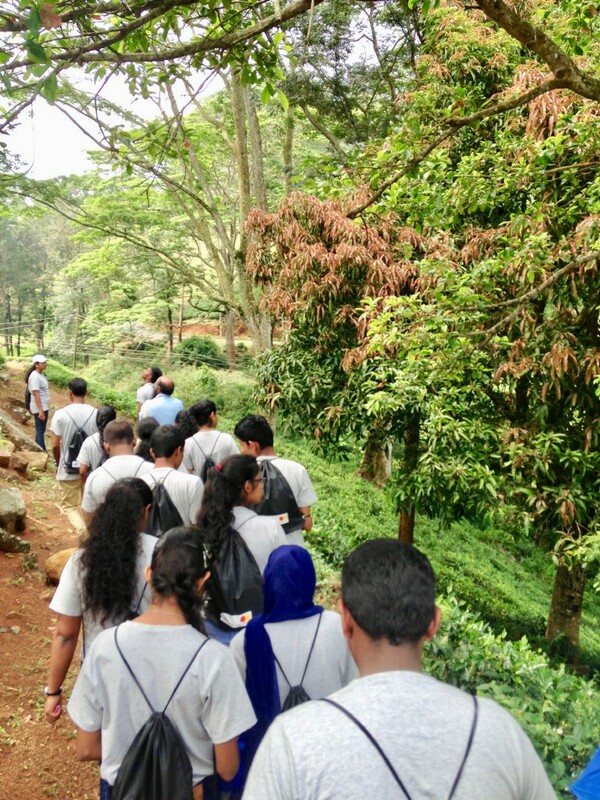 At the end of the tour, Prof. Jude Fernando encouraged the students to critically think and be conscious of the many facets and complexities, especially the ones that are largely ignored, of the tea industry such as the issues faced by tea workers and the impact on environment in understanding how global issues and practices relate to everyday life and choices as consumers. They were also shown how to relate these issues to other industries such as the production of palm oil which has led to the destruction of large areas of rainforest and habitat in the world. 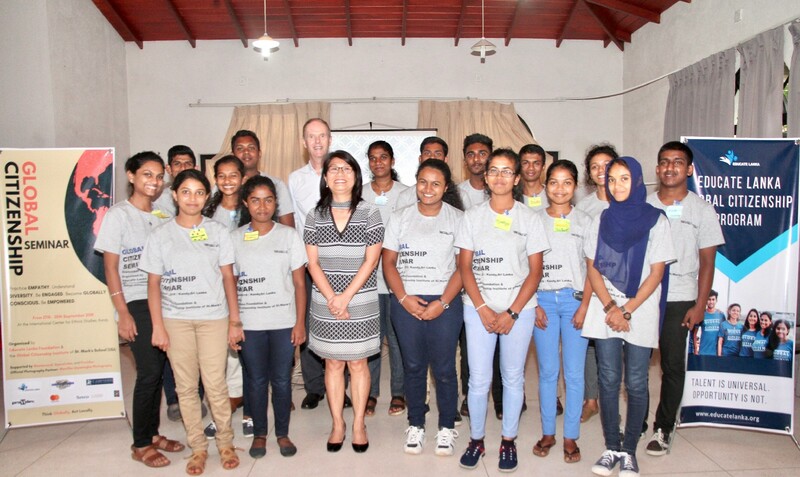 It was an eye-opening discussion for the participants who were introduced to concepts such as Ethical Consumerism, Responsible Tourism, and Critical Thinking. 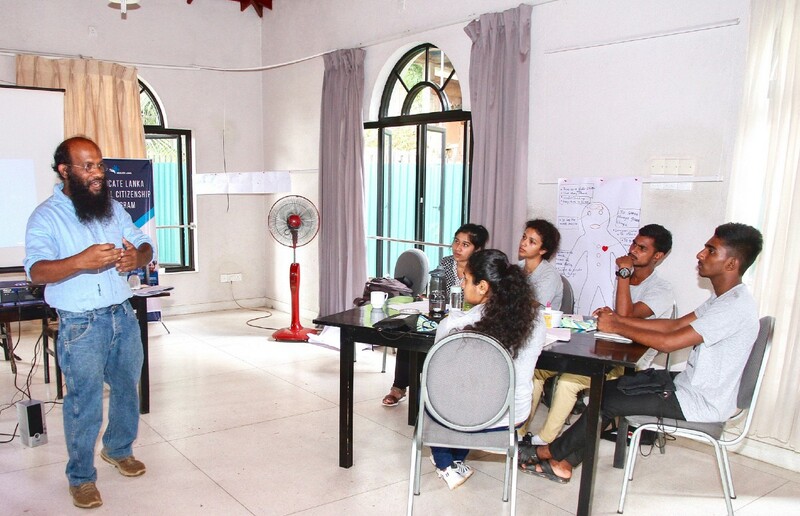 Throughout the four days, the participants got the opportunity of listening to “personal stories” of global citizenship shared by guest speakers with a variety of unique backgrounds and experiences. These narratives were a strong means of inspiring and motivating the participants as these stories are testaments to real global citizens who are socially and globally conscious and actively committed to solve problems of global and local significance. 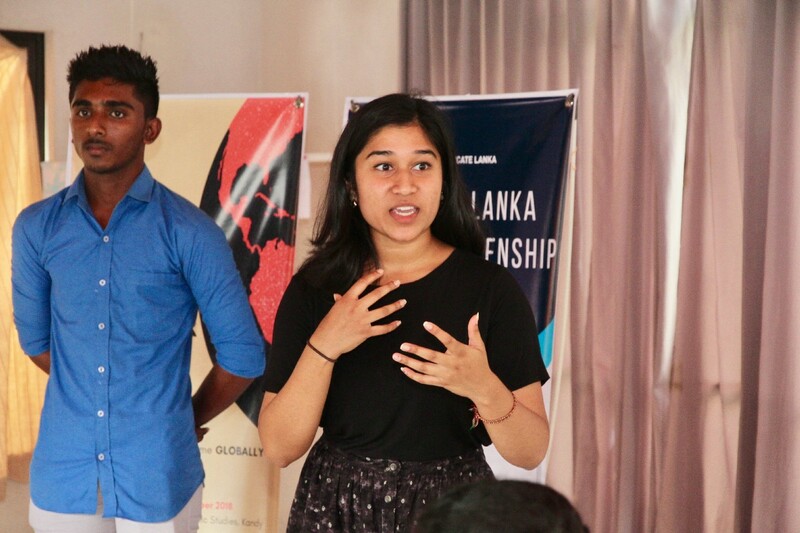 The first set of the stories shared were by Mitchell and Rebecca Cameron who are from Australia and are currently working on development projects in Sri Lanka. While they are both from two different countries originally, they share the same passion for traveling and helping communities in and around the world. 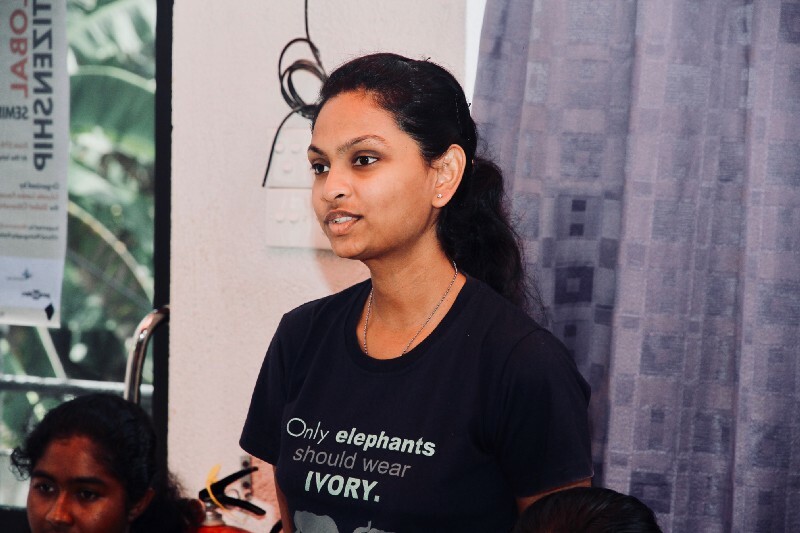 Another unique experience shared was by Ken and Visakha Kawasaki who are from the United States but have been living in Sri Lanka for over a decade. 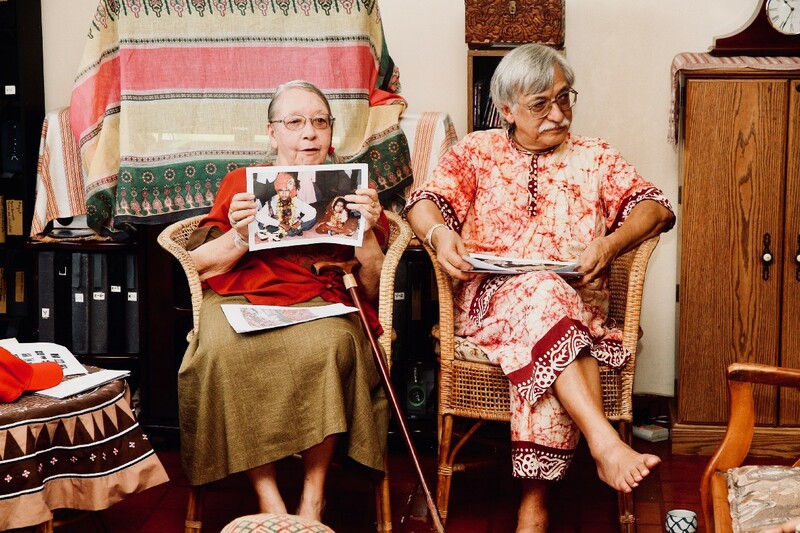 The participants not only got the opportunity of listening to their exciting travel stories from around the world, but were also welcomed into their beautiful house in Kandy displaying an array of global artefacts and collections. They both share a passion for human rights and engaged the participants in a discussion on issues of global human rights violations. 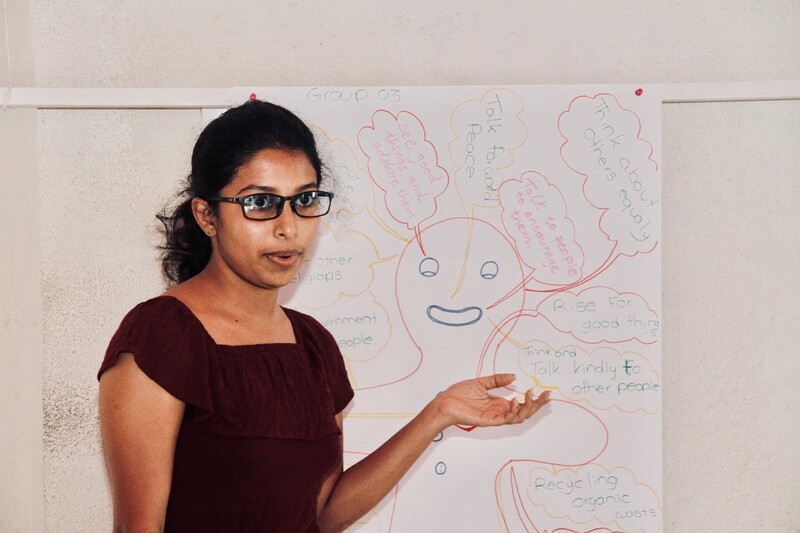 Adding a very unique perspective to the seminar were three Comdu.it Changemakers — Priyanga, Naveeni, and Ahiraa — from Canada and Germany who shared their experiences as second generation overseas Sri Lankans visiting their country of descent to actively engage in projects of sustainable development in the North and East of Sri Lanka. 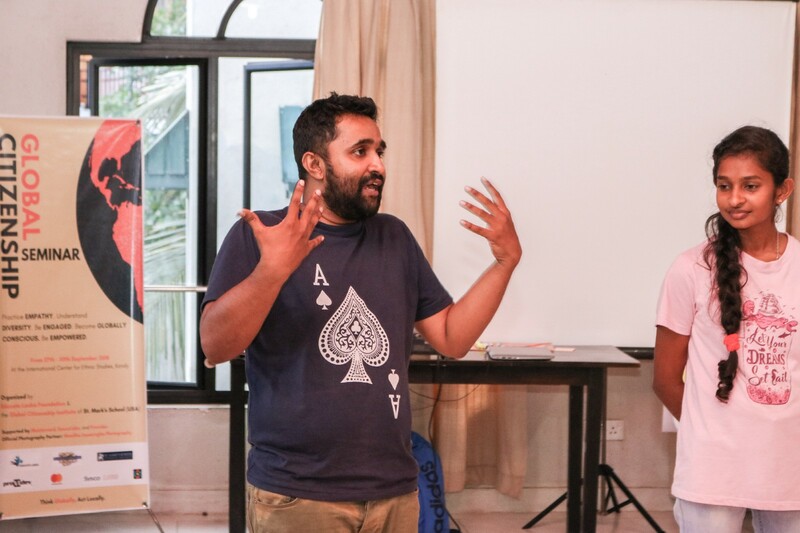 In concluding the four-day seminar, the participants got a unique opportunity to take part in drama activities led by Marlon Ariyasinghe — writer, theater director, and actor. He is a Master’s graduate in English Literature from the University of Geneva, Switzerland and has extensive professional experience in theater, particularly at Emmet Theatre Company and Théâtrochamp. 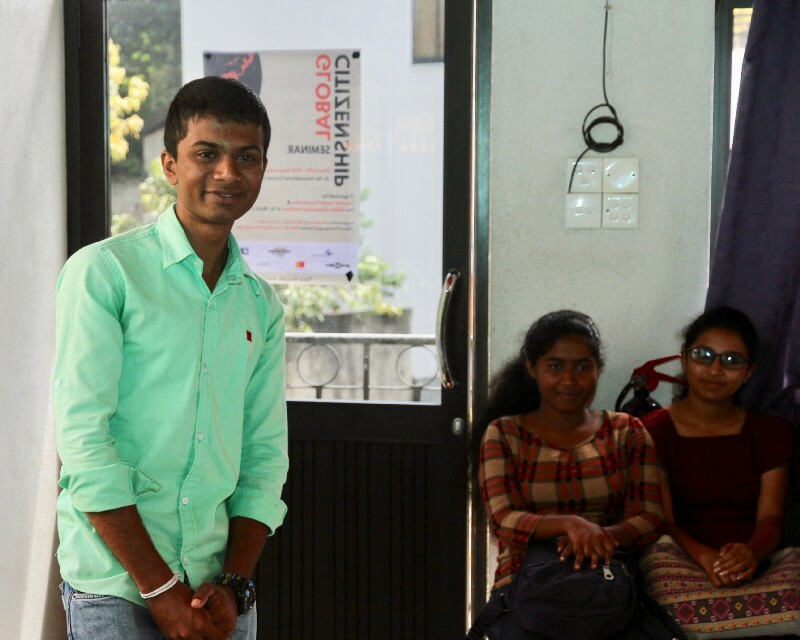 As an initial activity, Marlon got the participants to be aware of the limited theater space and the importance of sharing it with fellow actors. This lesson was then linked to the theme of the seminar by highlighting the importance of respecting the space and rights of others in society. 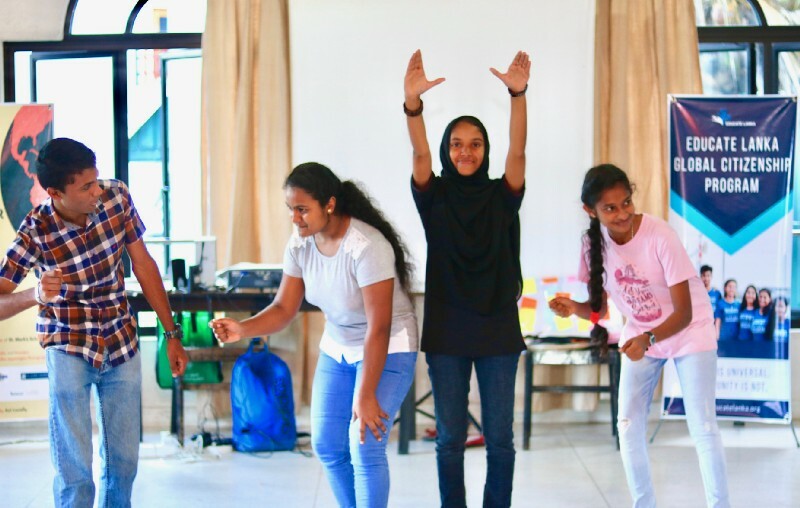 The participants engaged in further drama activities and took up the roles of different individuals in society, giving them the opportunity to test their skills in empathizing with persons of diverse ethnic, religious, gender, age, and linguistic backgrounds. 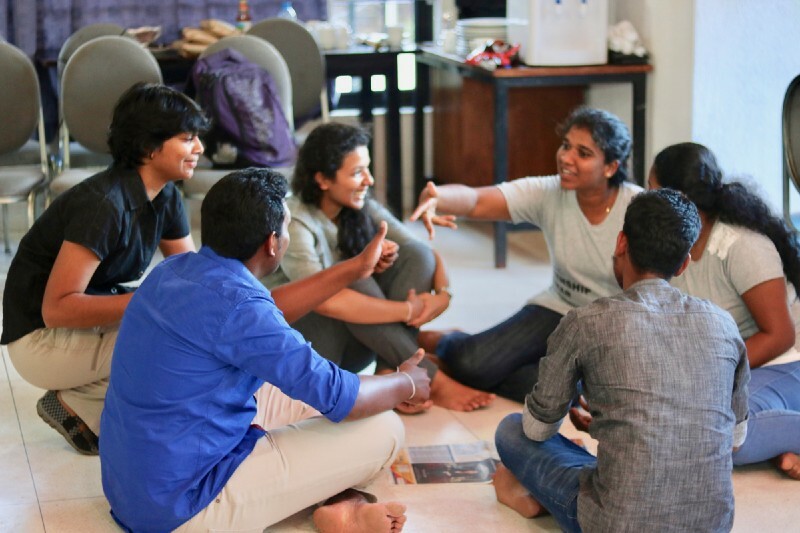 The session on the whole was highly effective in getting the participants to “step into someone else’s shoes” and see the world through the perspective of another — an important trait of a Global Citizen. 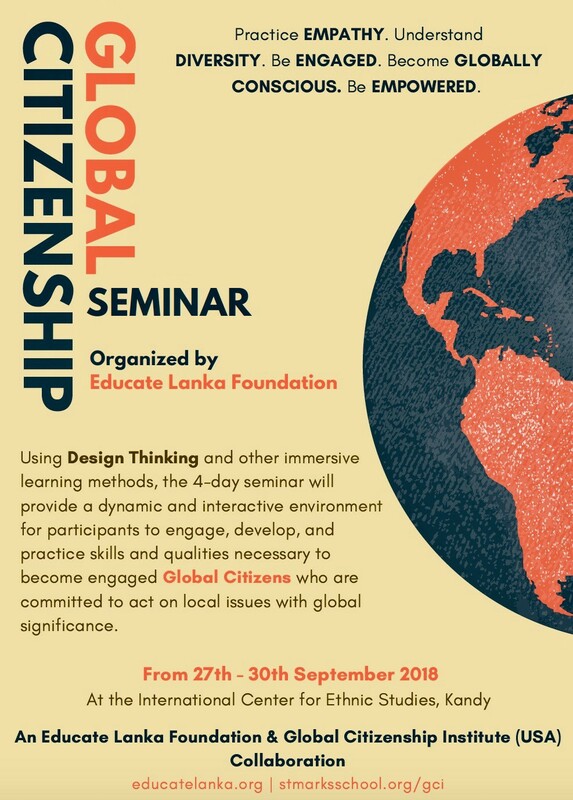 It is this very concept of global citizenship that Educate Lanka is committed to instill in its Scholars with the theme: “Think globally. 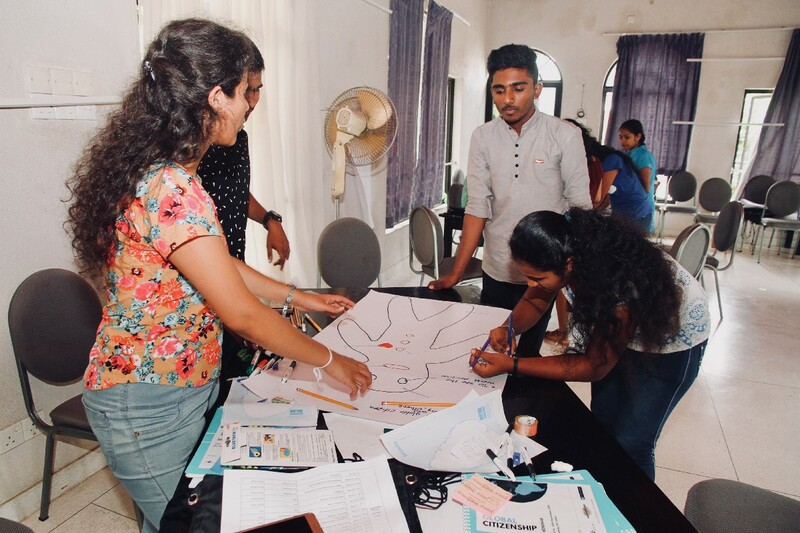 Act locally.” Educate Lanka believes that understanding the true meaning of Global Citizenship and its relevance toward an inclusive and sustainable development of the nation is an important exposure for the children and youth of Sri Lanka as they go on to become key members and leaders of the society. 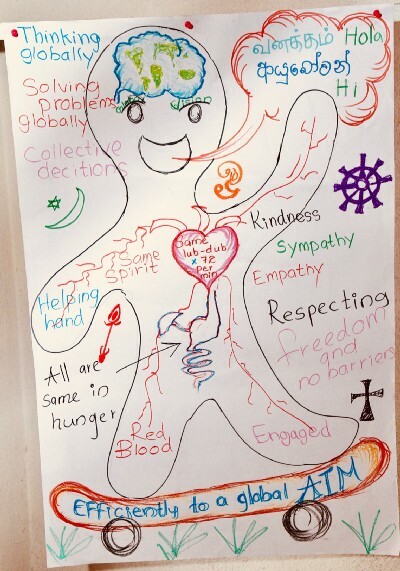 This realization and understanding of the role of a “Global Citizen” is critically important in navigating both the complexities and the opportunities of an increasingly interdependent and interconnected world. 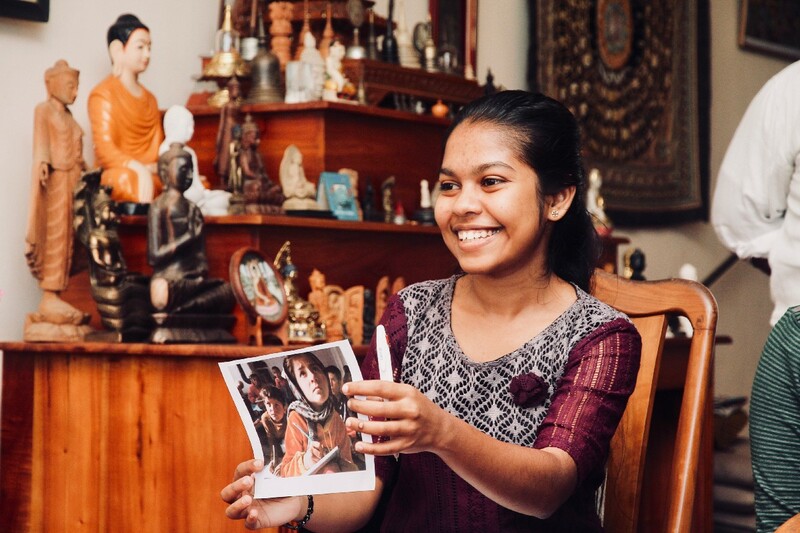 This is why it’s an essential part of the Educate Lanka Global Education Program as it strives to produce a generation of committed, conscious, and engaged global citizens who will go on to create a more compassionate, inclusive, and equitable future for all of us.